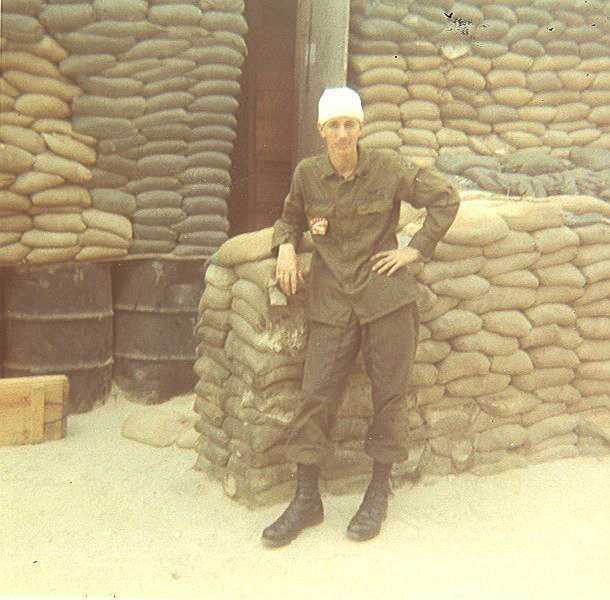 Here's a picture of " head wounded" Steve outside the Shark EM Hootch, Duc Pho 1970. "Actually, I was climbing on top of my gunship for typical checkout. However, the main rotor was running and I took a direct hit from the control rods. On another note, a little later, I was to leave the RVN to stateside after I had the front of my foot shot off by small arms fire. Ahhhh...the 'life' of a Crew Chief."